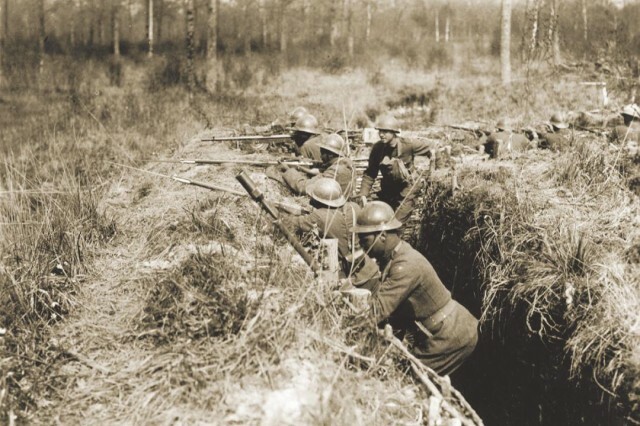 SARATOGA SPRINGS, N.Y. -- When the African American National Guard Soldiers of New York's 15th Infantry Regiment arrived in France in December 1917, they expected to conduct combat training and enter the trenches of the Western Front right away. 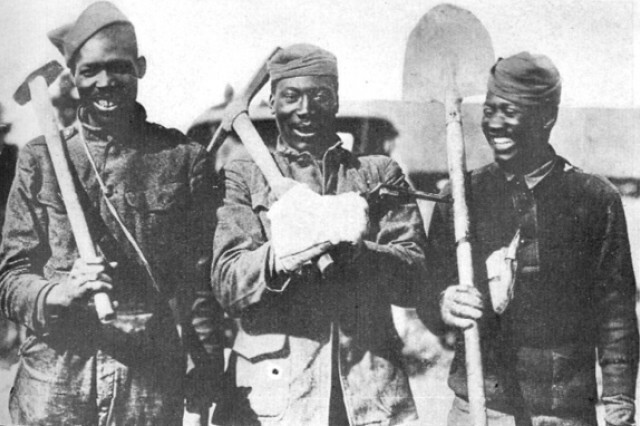 The African American regiment was a quick and easy source of labor, according to author Stephen Harris in his 2003 book, "Harlem's Hell Fighters." 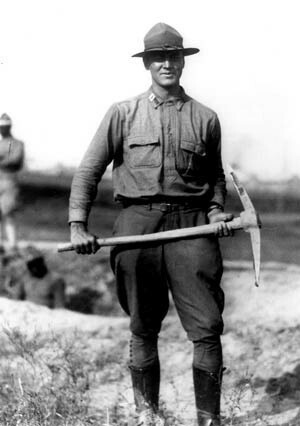 "First, Pershing would have a source of cheap labor," Harris wrote. "Second, he wouldn't have to worry about what to do with black Soldiers, particularly when he might have to mix them in with white troops." 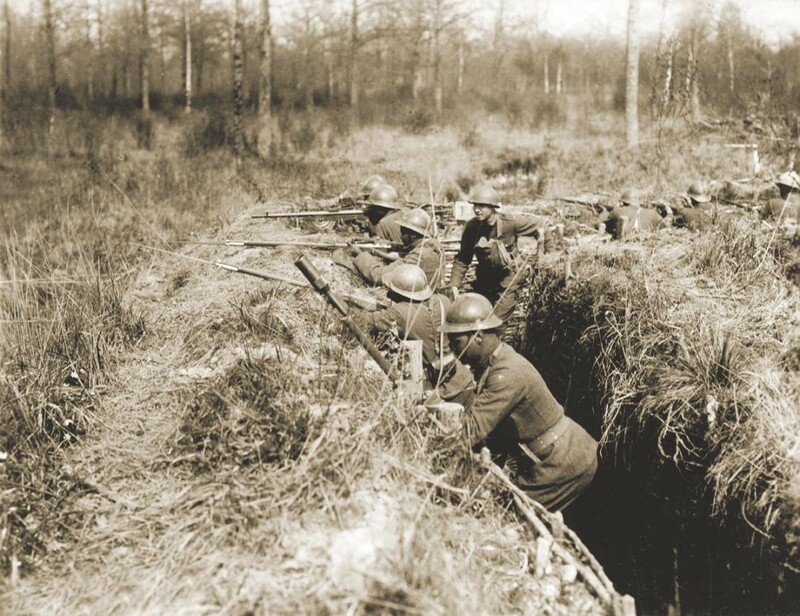 "They had no place to put the regiment," said infantry Capt. 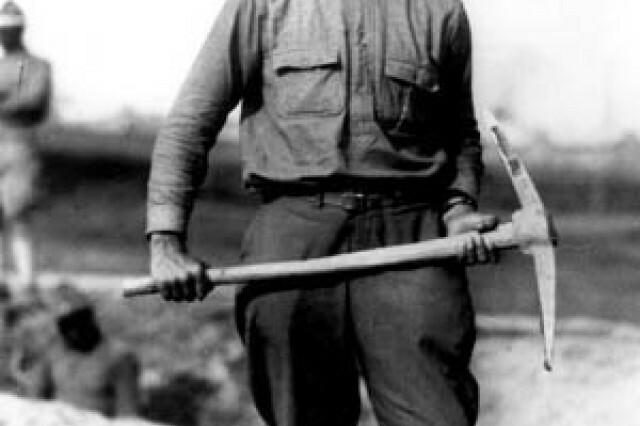 Hamilton Fish, according to the Harris book. 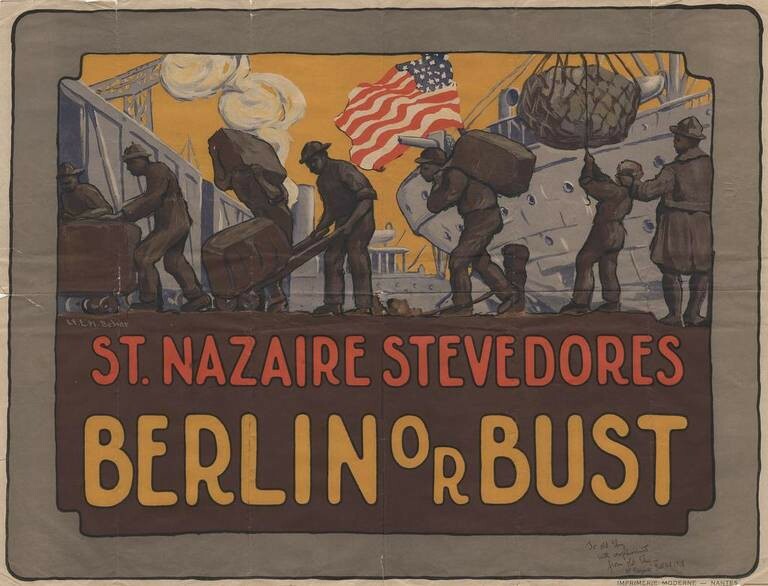 "They weren't going to put us in a white division, not in 1917, anyway; so our troops were sent in to the supply and services as laborers to lay railroad tracks. This naturally upset our men tremendously." The regiment's best advocate was their commander, Col. William Hayward. "It was time for us to try to do something towards extricating ourselves from the dirty mess of pick-swinging and wheel barrel trundling that we were in," Hayward had said to Capt. 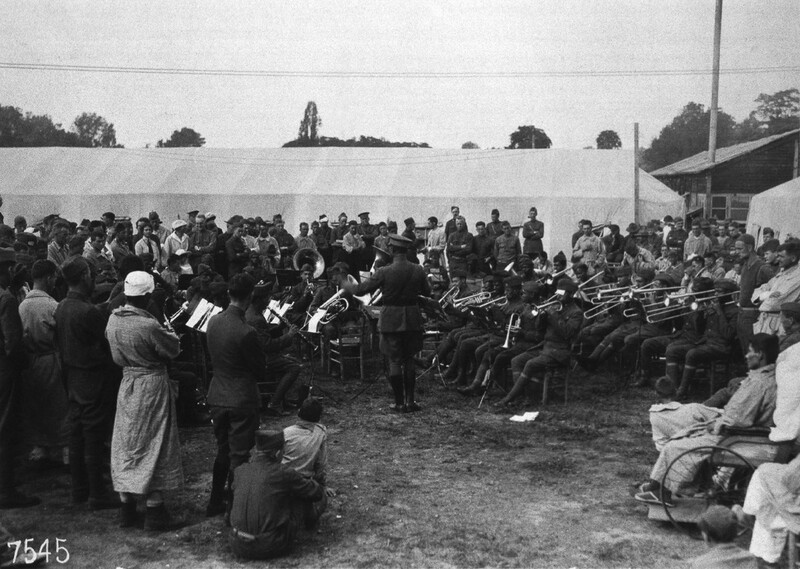 Arthur Little, commander of the regimental band, according to Jeffrey Sammons in his 2014 book "Harlem's Rattlers and the Great War." 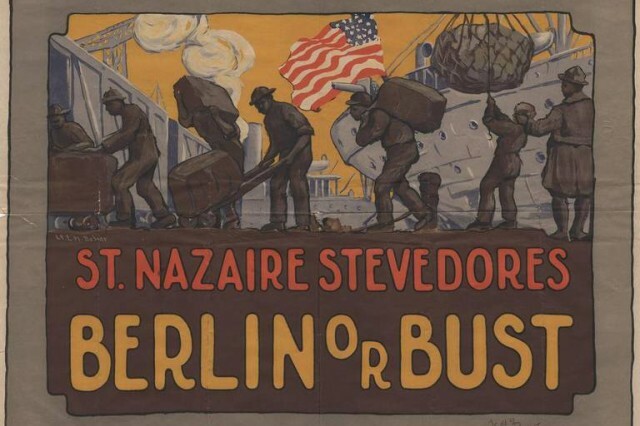 "We had come to France as combat troops, and, apparently, we were in danger of becoming labor troops," Hayward said. Hayward argued his case in a letter to General Pershing, outlining the regiments' mobilization and training, and followed up immediately with a personal visit to Pershing's headquarters. 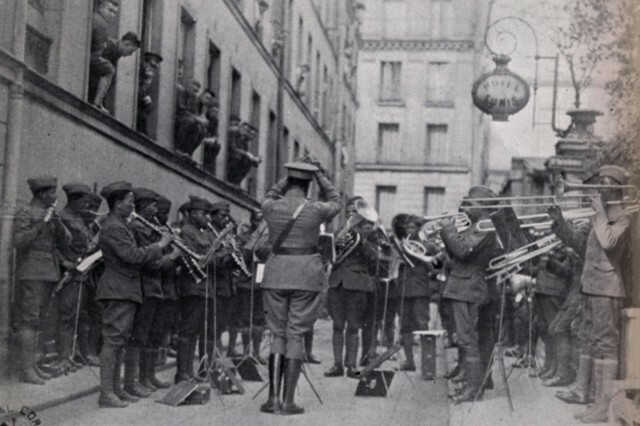 He would bring with him the regiment's most formidable weapon in swaying opinion: the regimental band, lauded as one of the finest in the entire Expeditionary Force. 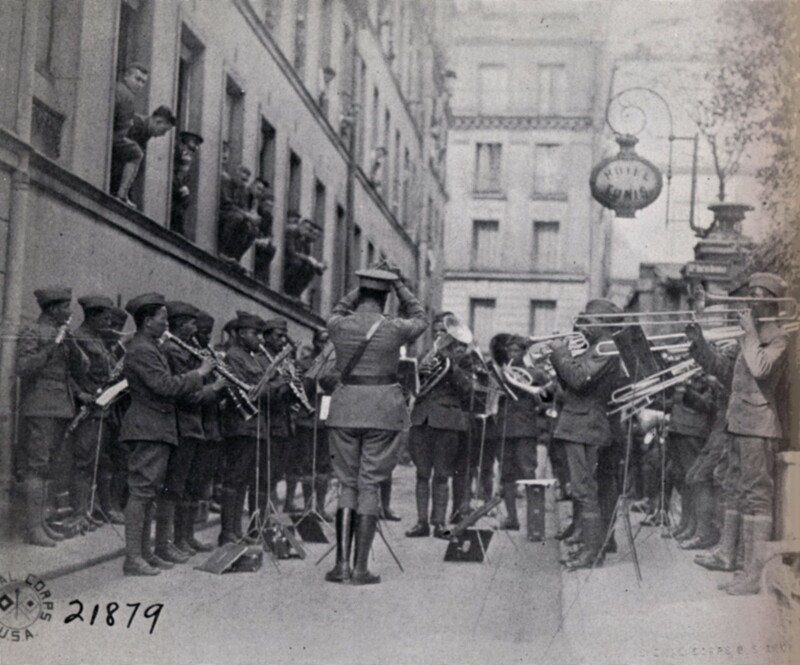 The military band would frequently perform a French march, followed by traditional band scores such as John Philip Sousa's "Stars and Stripes Forever." "And then came the fireworks," said Sgt. 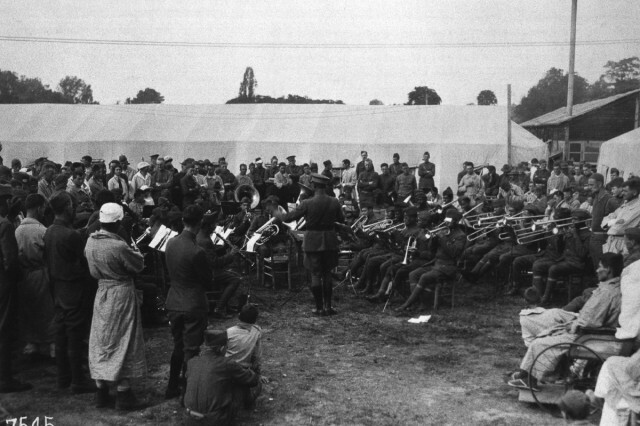 Noble Sissle, band vocalist and organizer, in the Harris account, as the 369th Band would play as if they were in a jazz club back in Harlem. 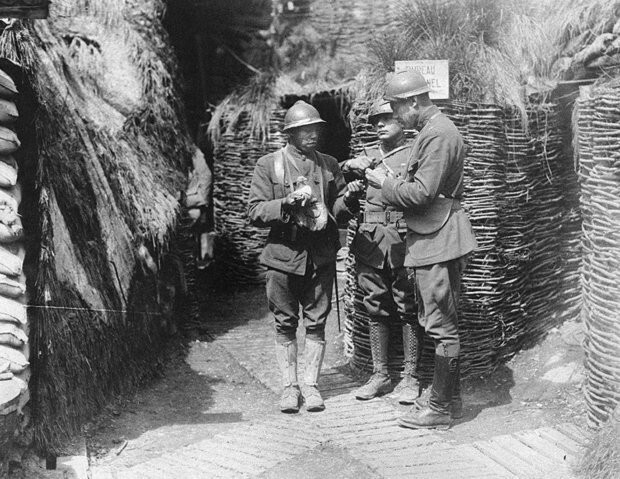 While the 369th Infantry would become part of the U.S. Army's 92nd Infantry Division, it would be assigned to fight with French forces. This solved the dilemma for Pershing and the American Expeditionary Forces of what to do with the African-American troops. "The French army instructors literally welcomed their African American trainees as comrades in arms," Sammons wrote. 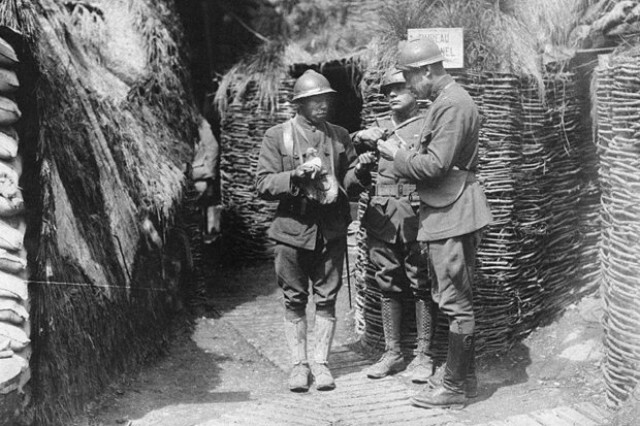 "To the pragmatic French army instructors, the Soldiers were Americans, black Americans, to be trained for combat within their ranks. The trainees clearly excelled at their tasks."